The Craft and Folk Art Museum, LA, CA. Part of the Pacific Standard Time Getty initiative. Curated by Lowery Sims, this show explores the US/Mexico border as a physical and conceptual reality, deconstructed then realized as the source of new ideas that challenge the way in which we see ourselves. Part of the Pacific Standard Time Getty initiative. It is a survey exhibition, bringing together contemporary artists from across the Americas who have tapped into science fiction’s capacity to imagine new realities. Unsettled amasses 200 artworks by 80 artists including my recent work. Co-curated by JoAnne Northrup, curator of Contemporary Art. and Artist Ed Ruscha. The conceptual and technical mastery of ikat dyers and weavers from seven Latin American countries over the last 100 years, curated by Roxane Shaughnessy. 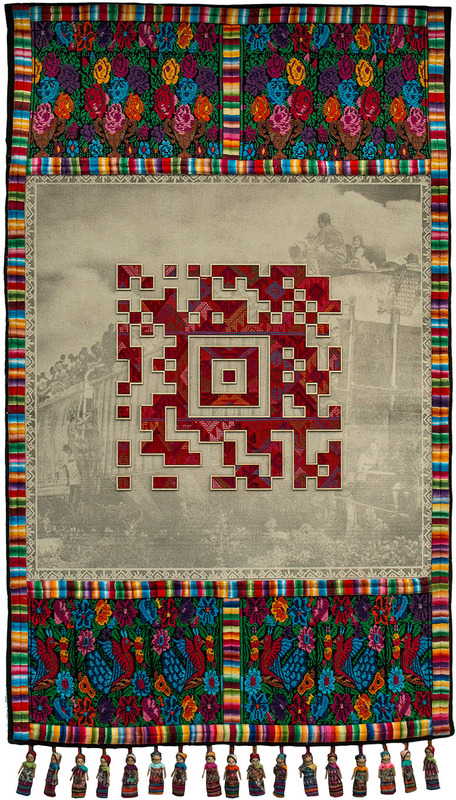 La Bestia (the Best) 2017, Mixed media, Textile and Bar code with audio file, in exhibit at the CAFAM. 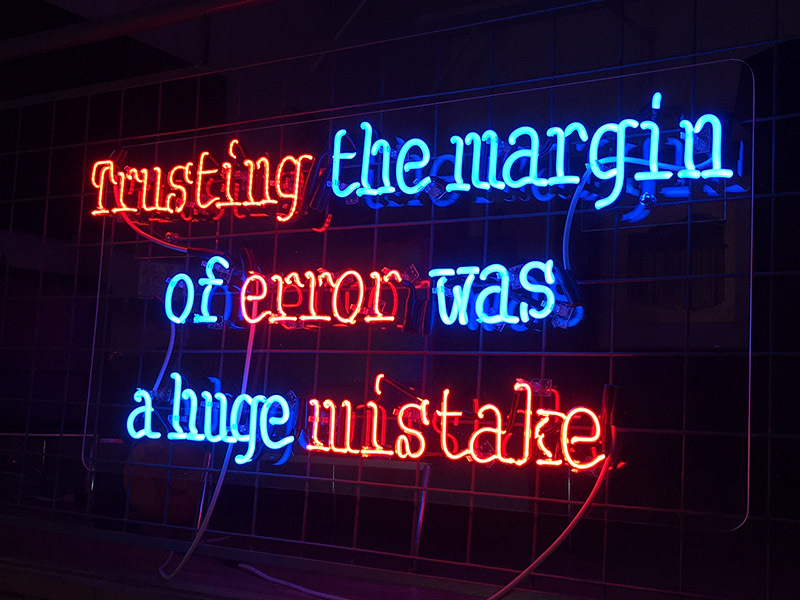 Trusting, 2017, from my upcoming series of Neon Art, This are cultural and political commentaries. 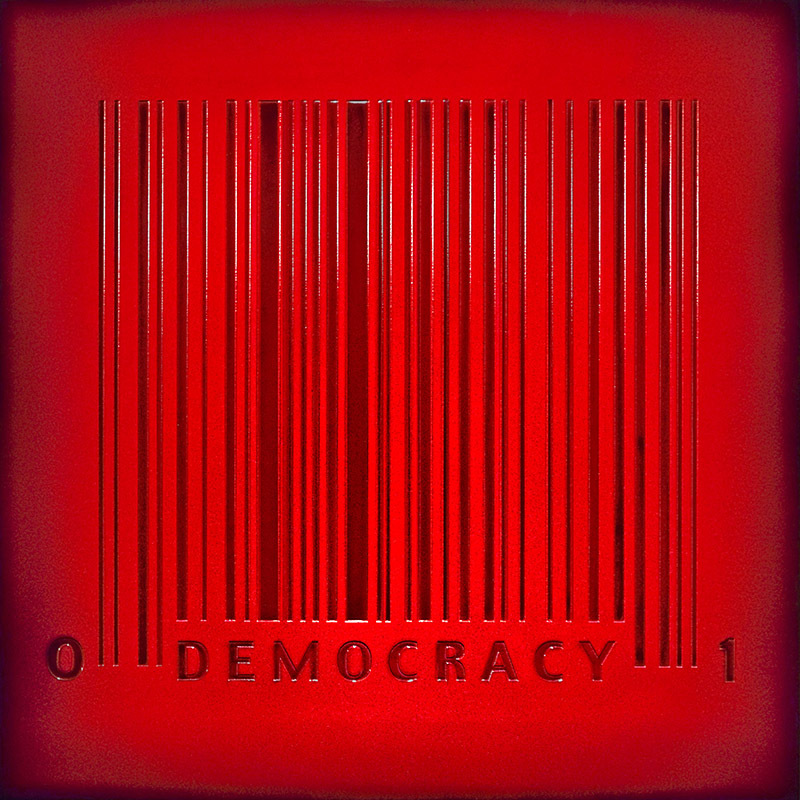 The Price of Democracy, 2012, from the Bar-code series 40″ x 40″, part of a triptych.